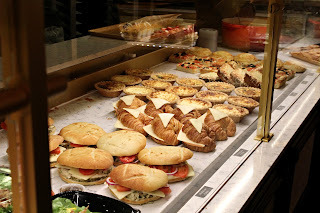 Kingdom Konsultant Travel Blog: A Visit to Les Halles Boulangerie & Pâtisserie! A Visit to Les Halles Boulangerie & Pâtisserie! 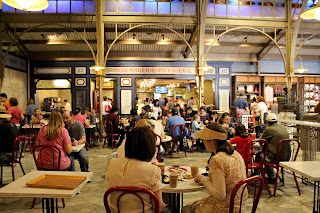 Just last month, Les Halles Boulangerie & Pâtisserie opened at Epcot’s France Pavilion in World Showcase. I had the pleasure of visiting a couple of weeks ago to check it out and grab a snack while I was there, though I would have liked to have quite a few of the snacks they were serving! Everything looked (and smelled) delicious! One of the great things about the bakery is that it now opens at 9:00 am, before World Showcase opens at 11:00 am. What better way to start your Disney day than with a cappuccino, coffee or latte with a delicious pastry like a chocolate croissant? Especially if you can grab an outdoor table in the morning Florida sunshine! Absolutely perfect! There is also an indoor dining area with tables and chairs, as well as small tables you can stand at and enjoy your snack. The selection of food is set up in glass cases that form a “U” shape. Guests form a line in the center. From there they can choose to go left or right (both sides have the same selections, as well as registers to check out). There are screens above the waiting area that show the menus. I didn’t even have to look at the menu, I already knew what I was there for - crème brulee! Along with the crème brulee and pastries are other delicious sweets such as eclairs filled with custard, chocolate mousse, chocolate chip cookies and coconut macaroons – just for starters! If you don't have much of a sweet tooth, there are plenty of other options, too. With ham and cheese on a croissant or with a baguette or the turkey and brie with a baguette, you can grab a lunch or light dinner here. There are also lobster bisque and pumpkin soups as well as salads available. Do you fancy quiche? Try the Quiche Florentine (spinach and goat cheese) or the Quiche Lorraine (ham and gruyere). Baguettes fresh from the oven are an option along with the delicious Roule au Fromage (garlic and cheese roll). And let's not forget that you can top off your French cuisine with a glass of wine, champagne or some beer! 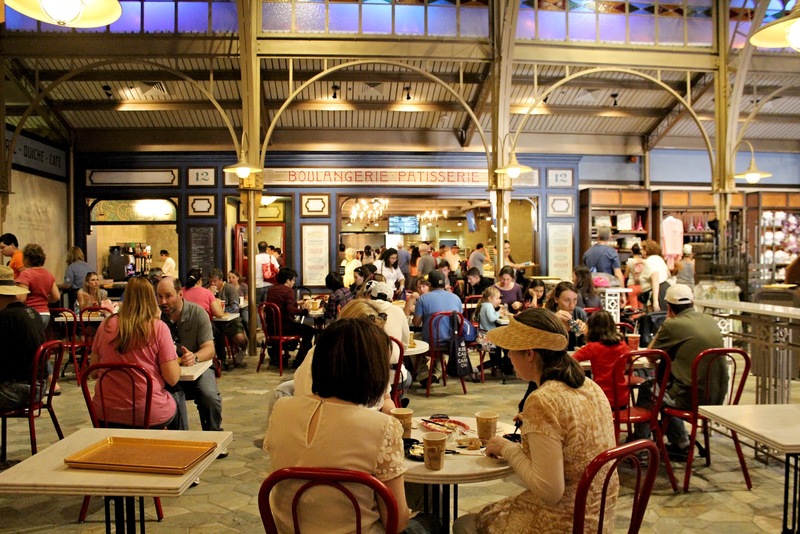 Les Halles Boulangerie & Pâtisserie is Disney Dining Plan participating restaurant. Even better, all of the food items on the menu are less than ten dollars each! This is a great option for those who are looking for a quick, inexpensive but delicious bite to eat. 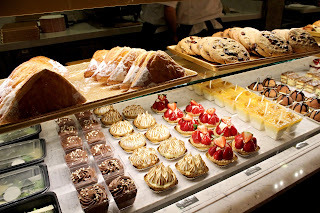 After enjoying my oh-so-yummy creme brulee, I can say that Les Halles Boulangerie & Pâtisserie will be on my must-do list for future Walt Disney World vacations. Whether it be for a sandwich on a baguette or something sweet, I can see this lovely place quickly becoming one of my favorite quick service stops!